DENVER: Anyone who has tried self publishing knows that it’s a contact sport; there are countless mental blows to absorb. First, you face a tough lineup of naysayers who try to talk you out the endeavor. Then, you have to tackle your own critical inner voice that’s telling you you’re wasting your time. After that, it’s an endless gauntlet of perfecting your material, finding the right printers, designers, distributors and other service providers. And once that’s all done, well, you’re back in the end zone with 100 yards to go when it comes to marketing the finished product. As a self publisher, you need the fortitude of a Tim Tebow* to keep your energy up for the entire game. If you relax and let your standards slip at any one of these steps, you might as well consider yourself benched. As co-founder of BlueInk Review, a fee-based service that reviews self-published books, and former book review editor of the Rocky Mountain News, I have seen hundreds of self-published books and talked to countless authors. While some self publishers find huge success, many wind up on the sidelines, wondering how others have managed to hit it big. As we continue into the new year, it seems the perfect time to review the common mistakes self publishers make as they build their own game plan. Hyre a kopee editer to currect my spilling, gremmer and punctchatiaon. Have some trouble reading that? Let me recap in better English: Hire a copy editor to correct my spelling, grammar and punctuation. You might laugh, but this is the kind of spelling we come across far too often in books that come to BlueInk. If you ignore all the other resolutions, we beg you: don’t overlook this one. Bad mechanics immediately mark you as an amateur. This doesn’t mean that you can skate through by asking your friend who majored in English check over your manuscript, either. Hire a professional copy editor. Professionals know how to make the writing mechanics consistent, which is subliminally critical to readers; your English major friend does not. Pay up. Your readers will thank you. Not to mention our reviewers, who will kiss you. Hire a content editor before publishing my book. You may think your book makes perfect sense. But you would — you wrote it. Get a professional opinion before paying thousands of dollars to print your book. We can’t count the number of reviewers who tell us a book could have been awesome — if only the author had hired an editor to give them better direction. A content editor will give you feedback beyond writing mechanics that will help you bring the best out of your story. Find a title that matches the content of my book. You’d be amazed at how many times we open a book expecting a high-tech thriller, for example, only to find a memoir about the author’s life growing up in New Jersey. For those who love high-tech thrillers, this is akin to opening a birthday present expecting fine jewelry and getting a whoopee cushion instead. Titles create expectations. Be sure your readers won’t be disappointed or jolted when they start reading your book. Make sure my cover design doesn’t obscure the type on the front and back of my book. It always stuns me when authors use design elements that make it impossible to read the text on their book covers. It’s all well and good to have an interesting cover design, but if it obscures the print that’s critical to enticing readers, you might as well design a garage that can hold all 2,000 copies of your novel. And don’t forget to design a dust rag while you’re at it. Write a snappy description of my book and put it at the TOP of the back cover. Readers shopping for books follow an age-old browsing routine. They check out the title, then flip the book over and look at the top of the back cover for a description of what’s inside. Self publishers seem bent on frustrating these potential buyers. They often leave this description off the book altogether, write it in convoluted prose or bury it at the bottom of the jacket. Give readers a break. Follow this simple convention: write a crisp, enticing summary of your book and don’t make readers break a sweat hunting for it. NEVER trust my family and friends to give me accurate feedback about my book. We’ve rarely met a self-publishing author who didn’t tell us how much their family and friends enjoyed their book — especially after the book received an abysmal review. The moral of this story is simple: family and friends don’t want to hurt your feelings; readers and reviewers generally aren’t as kind. Ask myself: who will read this memoir? Sure, you can write the story of your life. But don’t print too many copies if that life will only interest your family and friends. Memoirs attract readers when the author is able to write artfully and poignantly about an exceptional life — either exceptionally troubled or exceptionally successful. The vast majority of us live lives in between. Those lives, alas, don’t often attract widespread readership. Study the market before finishing my book. Heart surgeons follow certain procedures that differ from liver specialists. Writers must learn their specialties, as well. Readers expect certain conventions when it comes to suspense, romance, mysteries and so on. Study the type of book you are writing. What do the covers generally look like? What expertise do the authors generally have? What sort of story does the audience expect? If you ignore this resolution, you risk confusing readers, and your book’s chances for survival diminish considerably. Never blame the messenger when getting criticism about my book. One author wrote us that the reviewer didn’t seem to understand a key point, just like all the others who read her book. Take a hint. If everyone is having the same problem, it’s not because they are all incapable of “getting” what you’ve written; it’s because you haven’t written it well. Professional writers know that it is their job to make sure their writing clearly conveys what they mean, not the reader’s responsibility to read their minds. Keep my eye on the ball. It’s easy to get discouraged and distracted and to just want to get the darn thing done. In 2012, resolve to stay focused, keep your eye on the ball and get out there and do it right. Oh yeah, and it doesn’t hurt to say a little prayer. Hey, It seems to work for Tebow. 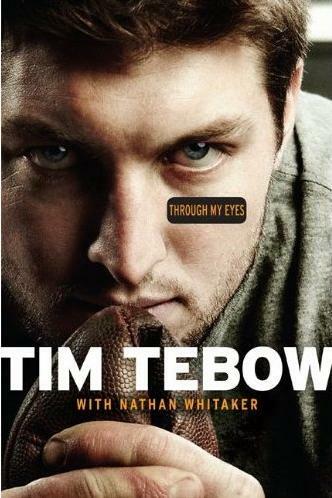 *Tim Tebow is, to those who don’t follow American football, the much maligned quarterback of the Denver Broncos and is famous for his resilience in the face of harsh criticism — as well as his seemingly miraculous ability to pull off unlikely, last-second victories. Patti Thorn is co-founder of BlueInk Review, a fee-based service offering serious, unbiased reviews of self-published books. She served for 12 years as book review editor of the Rocky Mountain News, which closed in 2009. DISCUSS: Where Can You Find High Quality Self-Published Books?